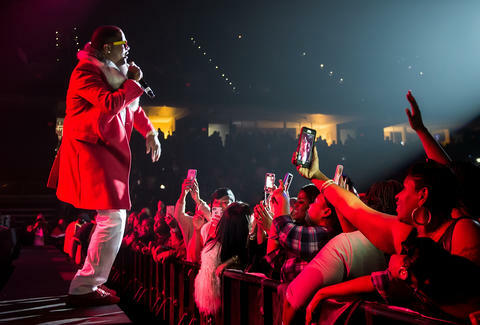 In late 2014, Philadelphians in their 20s to 40s murmured enthusiastically about Boom 107.9, a new radio station that talked up its “throwback” hip-hop format. For a while, the station delivered the goods: We got down to The Fugees, Snoop Dogg, Missy Elliott, and other hits that dropped between the late '80s and mid-2000s. Listeners fawned over nostalgic jams aimed at a demographic other than Baby Boomers. The fun, unfortunately, didn’t last. 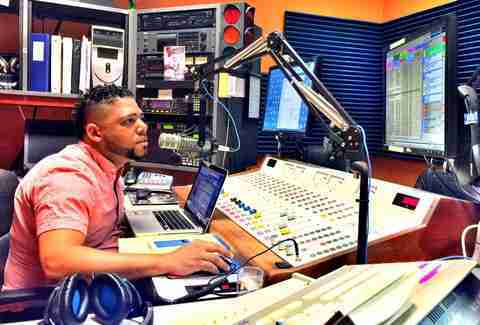 Last month, the news broke that Boom would not only move down a few frequencies to 103.9, but that it would also switch to a more conventional hip-hop format. That puts it in direct competition with Power 99, Philly’s existing urban contemporary mainstay. It also means yet another station playing Drake, Future, and Young Thug. Not that there’s anything wrong with that. But FM radio in this city has a lot to offer besides DJs peddling Top 40 artists. 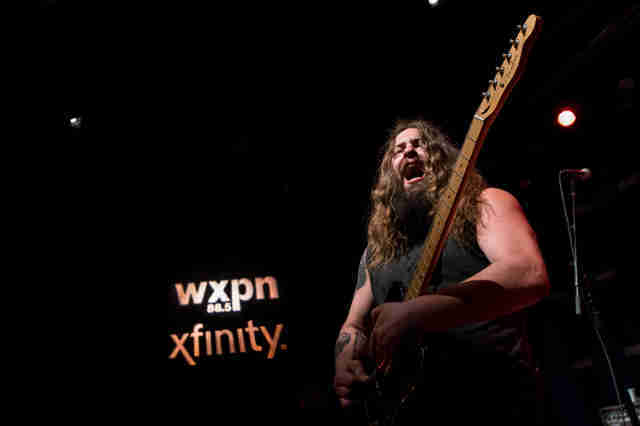 Here are a few of the more interesting music stations in the Philadelphia radio landscape. For now, fans of '80s and '90s hip-hop will have to settle for WRNB, otherwise known as Old School 100.3. When it comes to rap, this station will sometimes go for a handful of safe bets (think Run-D.M.C. or Naughty By Nature as opposed to, say, Wu-Tang or Snoop). But don’t banish it from your presets just yet. Where WRNB really excels is in its repertoire of classic soul, funk, and R&B hits, from The Isley Brothers to TLC and everything in between. 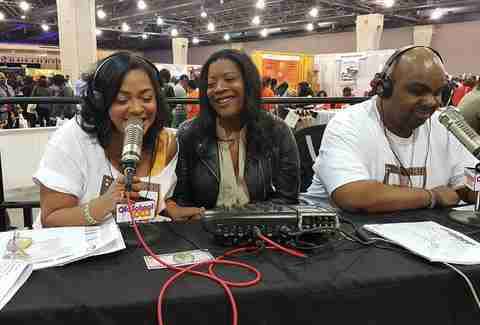 It also has a pair of engaging, locally famous hosts: Tom Joyner, who leads a riotous ensemble in the morning, and Philly’s own Lady B, one of the earliest female MCs in hip-hop, who fields caller questions and complaints with casual panache. In a city known for its distinct brand of soul music, a radio station like this one is essential. Every radio market has a bevy of classic rock stations, each one nearly indistinguishable from the next. You’ll hear a rotation of maybe 200 songs, all dating to somewhere between 1964 and Guns N’ Roses, with the occasional Nirvana or early-period Green Day romp thrown in for good measure. If you’re a classic rock aficionado, however, you can pick up on the subtle differences between markets. Here in Philly, we have it pretty good with 102.9 WMGK. The station goes light on faux-deep cuts like The Doors, and while we’ve had to sit through “Free Bird” and a few endless Van Halen solos, we’re just as often treated to more singable selections from The Cars, Cheap Trick, and Thin Lizzy. WMGK has an ’80s bent, too, which makes it synthier and poppier than other classic rock stations. We’ll take it over the stations playing Led Zeppelin every other song. Drexel University’s 91.7 WKDU bills itself as the only freeform, non-commercial FM station in Philadelphia proper, and it certainly sounds that way. What the station lacks in production values -- dead air and messy transitions abound, but hey, these are college kids after all -- it more than makes up for in its diverse array of programming. Beyond indie rock, the schedule makes room for punk, metal, hip-hop, electronica, jazz, and experimental, with some of its two-hour blocks among the most bizarre in the entire radio market. On Saturdays at noon, the station goes into full Caribbean mode, playing reggae, soca, and dancehall for 12 hours straight. The music jumps all over the place, but that’s why stations like WKDU exist. We don’t know how Princeton University’s airwaves reach all the way to Philadelphia, but we won’t complain. The kids on 103.3 WPRB tend to go even farther into crazytown than those on WKDU, offering up noise rock, minimalist compositions, and other experimental tracks that dare listeners to change the channel. Sticking it out, though, is a rewarding experience. Princeton students aren’t afraid to flaunt their eclectic tastes, exposing their audience to music it never knew it wanted. We also need to shout out whichever alum decided to have the station play classical in the mornings. The Delaware Valley doesn’t have many opportunities to hear orchestras and chamber groups on the radio. One of the most infuriating things about Philly radio is that the only regular classical station is also the only regular jazz station: 90.1 WRTI, which plays the former during the day and the latter at night. (This arrangement dates back to 1997, when a separate classical-only station shut down and the two genres had to become bunk buddies.) While we applaud the decision to reserve jazz for the evenings -- you know, for our wistful moods -- sometimes you want a hard bop combo to keep you sane during the morning commute, or a big band to keep the blood pumping during a long drive. That said, the hosts do a great job of paying respect to the greats while keeping listeners abreast of new faces in these older musical traditions. Latin American immigrants account for much of Philadelphia’s recent population growth, not to mention several burgeoning communities in Camden, Allentown, and other cities nearby. Even if you speak no Spanish and have never traveled south of the border, you should tune in to La Mega, the region’s main home for Latin music. The station plays on both the FM (105.7 WEMG) and AM (1310) spectrums, and caters to a large and ever-expanding audience. With listeners who trace roots to Mexico, Puerto Rico, the Dominican Republic, and elsewhere, La Mega keeps a varied rotation. Depending on when you tune in, you’ll hear norteño, bachata, salsa, merengue, reggaetón, and other great music that rarely plays anywhere else on the dial.